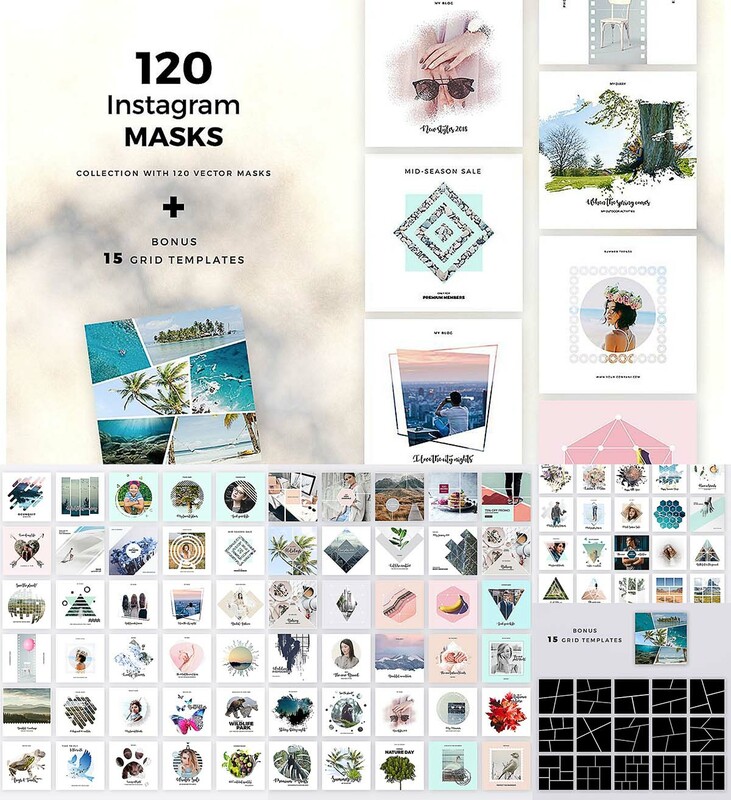 Set of 120 vector masks for Instagram. Including 15 grid templates. Give your instagram photos a unique tocuh. 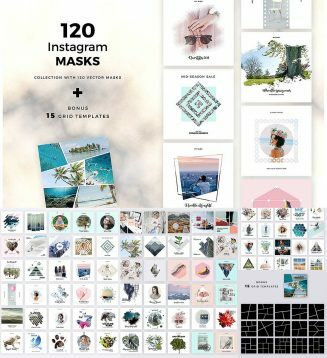 Tags: abstract, instagram template, mask, post, social media, stamp, vector mask.